Leading up to the International Anti-Corruption Day on 9 December, UNODC and the United Nations Development Programme (UNDP) have launched a campaign to raise awareness about corruption, which calls for people from all walks of life to take action against this crime. 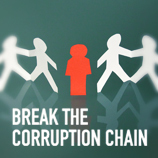 The slogan 'Break the corruption chain' encourages Governments, the private sector and the general public to tackle this issue by changing their attitudes. Recently, UNODC participated in the 8th session of the Forum on Minority Issues on behalf of the United Nations Network on Racial Discrimination and Protection of Minorities, which took place in Geneva, from 24 to 25 November. The Forum heard from experts and minority groups as they recounted the plight of their members. They also made a call to end the impunity for those infringing on the fundamental human rights of individuals belonging to minority groups. A multi-million-dollar funding agreement between Qatar and UNODC was signed in Vienna. The agreement, totalling more than US$49 million and slated to run four years is to deliver projects related to justice, prisoners, youth and justice education. UNODC Executive Director said, "This agreement is unprecedented in the history of UNODC and I commend Qatar's support for the 13th Crime Congress and the leadership and commitment it has shown during the event." 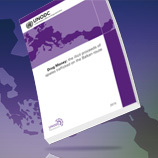 A new report launched by the UNODC shows that the total value of illicit heroin and opium trafficked from Afghanistan to Western Europe through the Balkans amounts to some $28 billion every year. Sixty-five per cent of this total ($18 billion) is generated in Western and Central Europe. 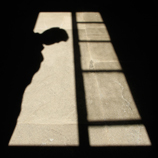 The four largest European markets for heroin account for nearly half of the gross profits, as the major heroin benefits are made by traffickers on the retail markets. 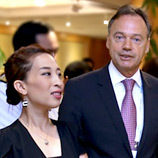 In preparation for next year's United Nations General Assembly Special Session on the World Drug Problem (UNGASS 2016), over 150 policy makers, experts, practitioners, members of international organizations, and civil society from 27 countries gathered recently to exchange ideas and lessons learned, and to consider alternative development in the context of the global development agenda. The Universal Children's Day is dedicated to promoting the well-being and human rights of the world's children, especially those suffering the impacts of poverty, armed conflict, discrimination and exploitation. The date of the observance -- 20 November -- marks the day on which, in 1989, the United Nations General Assembly adopted the Convention on the Rights of the Child. 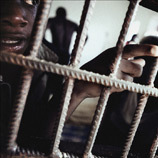 Far too many children languish in jail, mental health facilities or through other forms of detention. 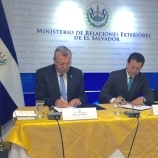 In a recent meeting with Salvadoran President Sanchez Cerén, UNODC Executive Director, Yury Fedotov, praised El Salvador for its continuing efforts in countering illicit drugs, organized crime and violence in the country. "Over the last 20 years successive Salvadoran governments have worked tirelessly to combat organized crime. I note that El Salvador has called for the UN's support in these efforts. I want President Cerén to know that I have heard that call. 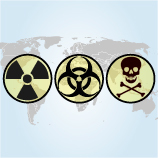 The Convention on the Physical Protection of Nuclear Material and its Amendment are legally binding instruments that promote nuclear security and counter nuclear terrorism. The Amendment to the CPPNM is one of the few international legal instruments against terrorism that has not yet entered into force.The adherence of two thirds of the Parties to the Convention, currently numbering 152 countries, plus Euratom, is required for the Amendment's entry into force.